» ITEX circumarctic CO2 flux survey data from Toolik, Alaska; Abisko, Sweden; Svalbard, Norway; Zackenberg, Northeast Greenland; Anaktuvuk River Burn, Alaska and Barrow, Alaska 2003-2009. 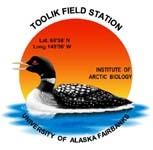 Toolik, Alaska 2009: Data were collected on nine 1m x 1m flux plots, three in each vegetation type. Vegetation types included moist acidic tundra (MAT), dry heath (HTH) and wet sedge (WSG). Each plot was measured at approximately 2 weeks intervals from mid-June to mid-August 2009. CO2 and H2O fluxes were measured using a Licor 6400 photosynthesis system (Li- Inc., Lincoln, Nebraska, USA) connected to a plexiglass chamber. For most sites, the chamber used measured 1m x 1m x 0.25m. Because of the limited accessibility of some sites, a smaller chamber was occasionally utilized: at Zackenberg in 2006 a 0.3 x 0.3 x 0.15m chamber was used on 25 plots and at Barrow and Anaktuvuk River Burn sites in 2009 a 0.7 x 0.7 x 0.25m chamber was used on a total of 18 plots. In Alaska in late season 2004 we measured CO2 and H2O fluxes using a LiCor 6200 photosynthesis system (note: the Licor 6200 does not measure air pressure, estimates from Toolik weather station data are used, with correction for altitude at Imnavait). We also used a LiCor 6200 at Zackenberg, from 25th July onwards - this instrument was borrowed from Susanne Konig in the Copenhagen University group. Measurements made with 6200 system are corrected for effects of water vapor flux using protocols recommended by Hooper et al. 2002. Uncorrected flux values from the 6200 are also given in a separate column. We fitted the 1m x 1 m chamber over a square aluminum base supported several centimeters above the ground surface by hollow steel legs driven down to the permafrost. An airtight seal was created between base and chamber by lining adjoining surfaces with rubber gasket. We sealed the base to the tundra by weighting an attached plastic skirt with heavy chains; where possible we pushed the chains firmly down into the moss layer to create a good seal. We screwed the LiCor custom chamber head attachment over holes drilled into the plexiglass chamber, again sealing with rubber gasket. The air in the chamber was mixed using four small fans powered by a 12v battery. The 0.3m x 0.3m chamber was set up identically to the 1m x 1m chamber, using a smaller aluminum frame. This was also sealed to the ground with a plastic skirt and chain. Often it was possible to make the frame level without using legs. We used only one 12V fan to mix air in the chamber, the chamber head was attached exactly in the same way as for the 1m x 1m chamber. The 0.7m x 0.7m chamber was set up identically to the 1m x 1m chamber, again using a smaller aluminum frame. This was also sealed to the ground with a plastic skirt and chain. We used four 12V fans to mix air in the chamber and the chamber head was attached exactly in the same way as for the 1m x 1m chamber. At each plot (all chamber sizes) we took measurements to create a light response curve: 2-3 measurements were made at ambient light conditions, followed by 2 flux measurements at each of 3 successive shading levels, with finally 3 measurements under complete darkness. We shaded the chamber by layering 3 fine mesh net cloths, with a tarpaulin to block all light from the chamber. Flux measurements under complete darkness represent ecosystem respiration. At each light level a flux measurement lasted 45 - 60 secs in total, CO2 and H2O concentrations in the chamber being recorded by the Licor every 2-3 secs. After each measurement we lifted the chamber until CO2 and H2O concentrations had stabilized at ambient levels. After each light curve we determined chamber volume by taking depth measurements from the top of the chamber base to the ground. For the 1m x 1m base 36 depth measurements were made at regular 20cm intervals by setting a 1m x1m plastic frame with a 20cm x 20cm string grid on top of the base. For the 0.3m x 0.3m chamber 9 depth measurements were taken, one at each corner, one at the mid point of each side, and one in the middle of the plot. For the 0.7m x 0.7m chamber, a string grid with smaller intervals was utilized. The volume determined by these depth measurements (chamber surface area*average depth) was added to the volume of the chamber itself. The surface area of the inside of the 1 m x 1 m chamber was 0.89m2. In 2009, the surface area of the inside of the chamber was 0.8836m2 for 1m bases and 0.4096m2 for all 0.7m bases. For 2003-2006 data, NEP is usually calculated from the first 15-20secs of measurement. Where the data is scattered due to very small net changes in CO2 over time, the entire period of 45-60secs is used. If light levels change during a measurement only periods where the light is constant is used to calculate the flux. Often under shade or darkness the first few seconds of data are discarded as the CO2 concentration change over time is non linear, representing adaptation of the system to new conditions. For 2009 data, NEP is calculated from the entire measurement period. When abnormalities in CO2 slope were observed due to leaks or changes in light levels, certain portions of the measurement were discarded. CO2 slope was always taken from contiguous data points (i.e. points were never removed from the middle of the measurement period). Often under shade or darkness the first few seconds of data are discarded as the CO2 concentration change over time is non linear, representing adaptation of the system to new conditions. For 2003-2006 data, H2O flux is also usually calculated from the first 15-20secs of the measurement period. However, where CO2 flux was calculated over the entire 60sec period, water flux is also calculated over the entire period. This should be considered as the build up of water vapor in the chamber almost always followed a curve which began to plateau towards the end of the 60secs. For a more reliable measure of evapotranspiration see water fluxes calculated at time t=0secs see 2003-2004waterflux.xls. For 2009 data, H2O flux is calculated over the same time window as CO2. Further QC of H2O data would be beneficial before use as H20 over time is nonlinear in many cases. Also, H20 fluxes from nighttime diurnal measurements are suspect. The program Multispec5.1.5.exe was used to compile Unispec reflectance spectra from the raw target spectra. COMMENTS: All times are given as local times. Shade level was not recorded in 2003. A negative net flux indicates uptake of carbon by the vegetation, a positive net flux indicates loss of carbon from vegetation to the atmosphere. Re and GEP are both given as positive numbers. Air temperature values from the 6400 were measured using a thermistor located inside the chamber head air space. Air temperature using the 6200 was measured using a thermocouple attached to the chamber head, and inserted inside the flux chamber. Douma, J.C., van Wijk, M.T., Lang, S.I., Shaver, G.R. (2007) The contribution of mosses to the carbon and water exchange of artic ecosystems: quantification and relationships with system properties. Plant, Cell and Environment 30: 1205-1215. Hooper D.U., Cardon Z. G., Chapin III F. S. Durant, M. (2002) Corrected calculations for soil and ecosystem measurements of CO2 flux using the LI-COR 6200 portable photosynthesis system. Oecologia 132:1–11. Williams, M., Street, L.E., van Wijk, M.T., and Shaver, G.R. (2006) Identifying Differences in Carbon Exchange among Arctic Ecosystem Types. Ecosystems 9:288-304. Definition: Start time of flux measurement in local time.